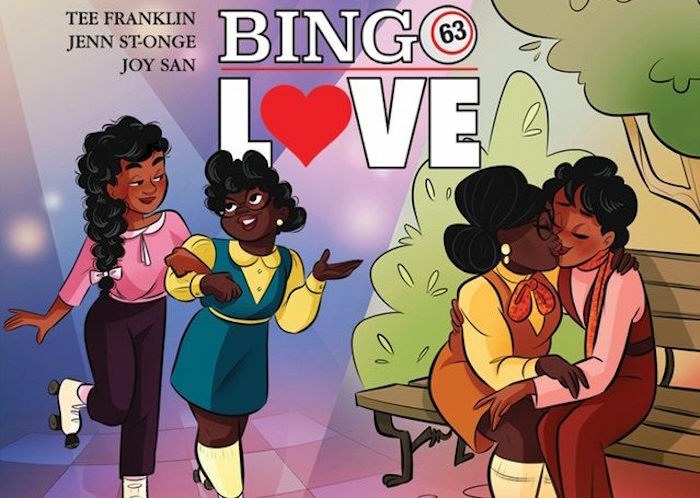 With the graphic novel Bingo Love, writer Tee Franklin and artists Jenn St-Onge and Joy San bring us the much-needed, generation-spanning love story of Hazel Johnson and Mari McCray, two women of color who first meet as teens at their grandmothers’ church Bingo hall in 1963. When I say this book is much needed, I mean both the story itself and the author’s voice. Writer Tee Franklin is a queer, disabled black woman, and her voice is one of the many that mainstream comics have too long ignored. Over the years, Franklin’s comics have reached larger and larger audiences. 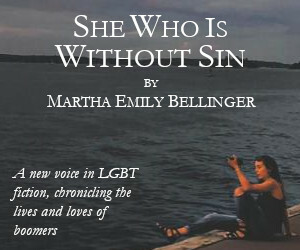 She’s had pieces in both the Eisner Award-winning anthology Love is Love and the Ignatz-winning Elements Anthology. Bingo Love won a 2017 Queer Press Grant, and Franklin raised almost $60,000 via Kickstarter for to fund the project. It’s all ample evidence of readers’ hunger to read her stories and to see themselves in comics like this – comics that feature realistic women of color from multiple generations, written and drawn by women of color. The book begins with Hazel and Mari as old women, reflecting back on their lives and how they met. It all starts when Hazel catches a glimpse of Mari at the Bingo game, and is smitten with a schoolgirl crush, which only deepens when she learns that Mari will also be in her class at school. Mari was tall, beautiful and she smelled like cocoa butter. She was a honey glazed goddess. I stared at her in class and just daydreamed about us being friends and hanging out. The two girls become BFFs (the sixties version), sharing school events, sports, and after school meet-ups for hot chocolate. But a kiss on the cheek from Mari awakens something else in Hazel: she realizes she’d love to grow up to marry Mari. But she keeps her feelings secret, unsure that Mari feels the same. We really loved each other as friends…but I wanted something more. I wrestled with my feelings for Mari for years. Was it worth ruining our friendship if she didn’t feel the same way? And given the cultural climate of the sixties, she’s right. Mari’s grandmother catches them kissing, and Mari tells Hazel she’s being sent away. That’s the last the two see of each other for many years. Hazel gets married to an upstanding Air Force pilot and has several kids with him. Her marriage is OK, but something’s missing, not quite right. Mari is always at the back of Hazel’s mind. And her sexual relationship with her husband is mainly revolves around her husband’s desire for children. Years later, Mari shows up at Mother’s Day Bingo. The two talk and discover they love each other as much as ever. But reuniting as a lesbian couple isn’t easy. Hazel’s daughter is angry that her mother is breaking up the family. Hazel discovers that her husband has some secrets too (a note says there will be a spin off story about this). And Hazel and Mari must build a new life that melds their relationship with the other people important to them: friends, kids, grandkids, and family. But while change can be hard, it also leads to good things. 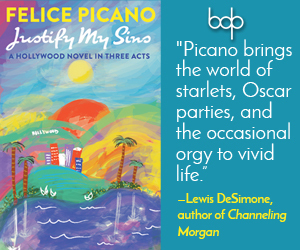 The women’s marriage on the beach in Puerto Rico, on Mother’s Day 2016, celebrates both how far they and gay rights have come (another note hints at a future spin-off about their honeymoon, to be done by Marguerite Bennett and Asia Kendrick-Horton). This is a romance with a happy ending that both younger and older readers will appreciate. Jenn St-Onge and Joy San’s art, as well as Genevieve FT’s cover, epitomize the upbeat, buoyant feeling of being in love. The artwork masterfully captures the nuances of emotion and family relations, at the same time retaining the wonderful playfulness of comics as a genre. A lesbian love affair this great is hard to find in comics. This tale brings it on: when Hazel and Mari kiss, the sky celebrates with love, hearts, doves–and unicorns!